These events will highlight an important reality: the transformation of the world’s energy systems is increasingly well understood, a transformation of the world’s agriculture and food systems is beginning and must be understood better and acted on faster, further and together. 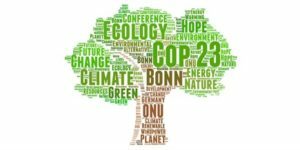 Editor’s Note: The 2017 UN Climate Change Conference – COP23 – opened on November 6, 2017, in Bonn (Germany), aimed at halting Global Warming. Some 25,000 diplomats, scientists, lobbyists, and environmentalists attended, including official delegates from 195 governments. 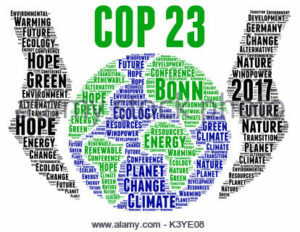 It came just two years after the landmark adoption of the Paris Climate Change Agreement and hopes to further fuel momentum in support of national climate action plans, the internationally-agreed temperature goal and the wider objectives of the UN 2030 Agenda for Sustainable Development. More ambitious reductions of greenhouse gas emissions arising from our use of land and forests and robust action to protect agricultural production and supply systems from climate change are essential to achieve the linked goals of the Paris Agreement and the 2030 Agenda. A growing recognition by governments and business of the central role that these systems must play in responding to the global challenges of extreme weather and unsustainable development remains a fundamental challenge, as highlighted throughout the gathering. “The agricultural community is mobilizing like never before and solutions to speed up and scale up already exist,” said Martin Frick, chief of Policy and Programme Coordination at UN Climate Change. “These solutions offer government, business and farmers immediate opportunities to grow agriculture without mortgaging its future. Action now sows the seeds for the sustainable harvests of the future,” he said. A series of high profile events in Bonn covering global hunger, farming, forests and oceans offered the many thousands of government, business, investor and civil society delegates attending the conference a great chance to address this challenge together – the only way to succeed. It is, therefore, encouraging that over 90% of the national climate plans which countries have submitted under the Agreement include agriculture, forests and food systems as key elements of national efforts to mitigate climate change and adapt to its effects. These plans – known as nationally determined contributions (NDCs) – are the foundations of practical action on which rests the 2015 Paris Agreement’s goal to limit the average global temperature rise well below 2C degrees and as close as possible to 1.5 degrees. To reach that goal, greater ambition is required now. While the Paris Agreement and the 17 Sustainable Development Goals (SDGs) of the 2030 Agenda are inextricably linked across the board, arguably it is farming and forests which have the most immediate, personal and transformational impact on so many of the poorest and most vulnerable people. A recent striking example of this was a winning project in Nepal under UN Climate Change’s Momentum for Change initiative which literally pays women for the time they save by using biogas as an alternative fuel to wood gathering. A useful way of looking at the sector is to see where the world is, where it needs to go and how best to get there. Agriculture and food systems are among the main contributors to climate change. According to the Fifth Assessment Report of the Inter-governmental Panel on Climate Change (IPCC), Agriculture, Forestry and Other Land Use (AFOLU) accounted for about 24% of global greenhouse gas (GHG) emissions in 2010 — second only to energy. About half of these emissions are attributable to deforestation and forest degradation, while the rest come primarily from crops and livestock. But when considering our entire food systems — including food processing, distribution and consumption — sector emissions are considerably higher. Food loss and waste alone account for about 8% of global GHG emissions. Agriculture and food systems are simultaneously among the most vulnerable sectors to a changing climate. Increasingly common and intense extreme weather events are already undermining agricultural productivity in some regions. The agriculture sectors absorb about 22% of the economic impacts of natural disasters in developing countries. When looking exclusively at droughts, this figure rises to more than 80%. Future impacts promise to be more severe. Some estimates suggest that under high emissions scenarios, yields could decline significantly for staple crops such as maize (20-45%), wheat (5-50%), rice (20-30%) and soybean (30-60%) by 2100. The effects on food prices and global food security would then be dramatic. For many developing countries, the impacts of climate change on agriculture and food systems are a fundamental threat to their way of life and their ability to prosper in the decades to come. Agriculture remains a crucial source of employment and income for many countries, particularly those in sub-Saharan Africa (about 42% of employment from 2000-2010) and south/east Asia (about 35% from 2000-2010). The sector is particularly important for the world’s poorest people, more than 75% of whom live in rural areas and depend on agriculture and natural resources for their livelihoods. Due to climate change, many of these people are at risk of being trapped in a vicious cycle of poverty, food insecurity and malnutrition. The UN Food and Agriculture Organisation (FAO) estimates that for the first time in over a decade, global hunger has increased (by 11% to about 815 million people) due in large part to conflicts and climate-related shocks. The World Bank predicts that without concerted action, climate change could push another 100 million people into extreme poverty by 2030, largely due to impacts on agriculture and rural areas. Such chronic poverty and food insecurity are known drivers of distress migration, as individuals and families seek economic opportunities elsewhere. Climate change will continue to magnify these drivers. Agriculture and food systems are also depleting natural resources that are essential to agricultural productivity, food security and overall human well-being. About 33% of the world’s farmland is moderately to highly degraded, driven in large part by unsustainable agriculture and land management practices. Agriculture also accounts for about 70% of global freshwater withdrawals — a figure that rises to 80-90% in some regions. Although increasing water scarcity has many causes, unsustainable water management in agriculture is prominent among them. In short, our agriculture and food systems are a key nexus between human activity and the natural environment, and have an unparalleled impact on the natural resources, biodiversity and ecosystem health on which we remain utterly dependent. managing natural resources more sustainably, including land and water, while strengthening biodiversity and preserving the essential services provided by forests and other vital ecosystems. Moreover, agriculture and food systems offer significant opportunities to achieve progress on climate change and sustainable development through individual, often modest investments. Mounting evidence from all regions shows that sustainable agricultural practices can enhance resilience while increasing productivity and incomes — including among the poorest and most vulnerable — while increasing soil organic carbon and sustaining more biodiverse agro-ecosystems. For its part, climate action in forests is increasingly being proven to offer some of the most cost-effective mitigation options available, particularly in the short run. But seizing this potential requires more than ad hoc interventions or piecemeal change. It requires a transformation of the world’s agriculture and food systems. This is a longer-term process that must be supported by governments, private sector actors (large and small) and civil society alike, and underpinned by cutting edge technology as well as traditional and indigenous knowledge. At the same time, agricultural productivity and output needs to rise. FAO estimates that with a global population that is estimated to reach 9-10 billion by 2050, the global demand for food will increase by almost 50% compared to 2013 levels. 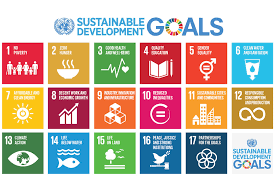 To sum up, the world’s agriculture and food systems can make vital contributions to achieving the combined SDG goals of preventing the worst climate change, cutting poverty, hunger and inequality, empowering women, creating decent work and sustainable growth while preserving and cleaning up all life on land and in the water. 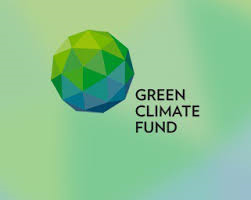 About one-third of the projects approved by the Green Climate Fund (GCF) thus far are aimed at agriculture and food systems, mobilizing more than USD 800 million for investments. The GCF also recently established a USD 500 million pilot programme on REDD+, which will make important contributions to combatting deforestation in the years to come. The NDC Partnership recently established a Thematic Work Group on agriculture, food security and land use to scale up the partnership’s support in this area. A growing number of international commitments — including the Bonn Challenge on restoring degraded land, and the Balikpapan statement on combatting deforestation — are adding to this momentum. FAO’s climate change strategy supports its member countries to scale up climate action. This builds on the outcomes of the 39th session of the Committee on World Food Security (CFS), which produced key policy recommendations to guide countries and the international community to safeguard food security in a changing climate. – Strengthening governance. Stronger sector and sub-sector policy and regulatory frameworks — and greater coherence among them — are needed to support transformational change in agriculture and food systems, and maximize their potential to contribute to sustainable development. This includes shifting incentives to guide agricultural producers, consumers and other stakeholders to adopt climate-friendly practices and habits. – Enhancing the generation and dissemination of data and information. Better data and information is needed to inform policy decisions in agriculture and food systems, as well as guide investment decisions at farm level and throughout commodity supply chains. – Scaling up climate finance, and using it more effectively. Climate finance flows continue to focus on mitigation, and only a modest share goes to agriculture and food systems — imbalances that must be addressed. Climate finance flows should also be used in more catalytic ways, including to address investment barriers and de-risk investment opportunities to unlock additional public and private financing for climate action. – Build capacity to address barriers to adoption. Agricultural producers and food system actors need additional capacity to understand the climate risks and vulnerabilities they face, and respond accordingly. In developing countries in particular, there is a clear need to build the capacities of borrowers and financial service providers to enhance lending to agriculture and food systems on the terms needed to transition to climate-smart approaches. – Enhance partnerships. Dialogue between government, private sector and civil society actors is needed to better align policy and investment decisions in agriculture and food systems, including to support more integrated approaches to landscape management. 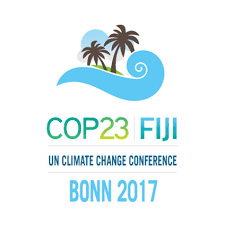 In light of the magnitude and urgency of the challenges we face, as well as the obstacles and barriers currently inhibiting a more effective response, COP23 in Bonn offered a chance to serve as a call to action for the international community. The high-level day on Hunger (SDG Goal 2) plus Action Days on Agriculture, Forests and Oceans provide an unparalleled opportunity for public, private and civil society stakeholders to come together to lay the foundation for a more ambitious and effective response to the needs of agriculture and food systems, and the considerable opportunities they offer.